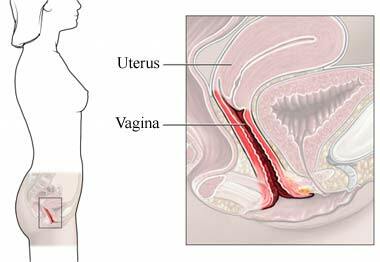 Vaginal bleeding during the first trimester of pregnancy is common. It is often nothing to worry about. Bleeding during the second or third trimester can mean there is a significant complication. If you have vaginal bleeding at any point during pregnancy, call your healthcare provider. Risk factors increase your chance of having bleeding during pregnancy. The amount of bleeding will be different for each cause. Wear a sanitary pad so you can tell how much you are bleeding. The blood may also appear different for different causes. Make note of how heavy the bleeding is and how the blood appears so you can tell your healthcare provider. Your healthcare provider will ask about your symptoms and medical history. A physical exam will be done. A pelvic exam may also be done. Your healthcare provider may need to assess blood loss or determine blood type. This can be done through blood tests. Prompt delivery if abruption occurs close to the baby’s due date or if there are signs of fetal distress. Delivery is often by Cesarean section. Eat a healthy diet. Your diet should be low in saturated fat and rich in whole grains, fruits, and vegetables. If you smoke, talk to your healthcare provider about how you can successfully quit. Bleeding during pregnancy. American Pregnancy Association website. Available at: http://www.americanpregnancy.org/pregnancycomplications/bleedingduringpreg.html. Updated August 2015. Accessed December 28, 2016. Complications of labor and delivery. EBSCO DynaMed website. Available at: https://www.dynamed.com/topics/dmp~AN~T115776/Complications-of-labor-and-delivery . Updated January 12, 2016. Accessed December 28, 2016. Gestational trophoblastic disease. American Cancer Society website. Available at: http://www.cancer.org/cancer/gestationaltrophoblasticdisease/detailedguide/index. Accessed December 28, 2016. Pregnancy complications. Women's Health—US Department of Health and Human Services website. Available at: http://www.womenshealth.gov/pregnancy/you-are-pregnant/pregnancy-complications.html. Updated September 27, 2010. Accessed December 28, 2016.